In just about a week, the festivities for World Book Day 2014 will begin! This is my favourite time of year in the book shop, and I have a great line-up for the school children of Galway. Five days, five authors and brilliant fun! On Monday the 3rd of March, Maria Burke will visit us. Maria is the author of The Ark of Dun Ruan series. Her second book in this fabulous fantasy series was released late last year. On Tuesday the 4th, Sadie Cramer will bring her talents. She'll be talking about a story and there will be another wonderful activity in store. Wednesday the 5th brings us the wonderful Patricia Forde, author of brilliant books both in English and in Irish! Thursday the 6th of March is World Book Day itself. Paula Leyden will be visiting the bookshop to discuss all things 'The Butterfly Heart'; 'The Sleeping Baobab Tree' and Zambia! Finally, on Friday the 7th of March, Nicola Pierce will arrive in Galway to present her new book, City of Fate. This is an exciting, evocative historical fiction based on events in the lives of young people during the siege of Stalingrad. And... in between all of these wonderful visits, I will be reading to additional classes of a variety of ages. One of my favourite things to do in the entire world! All the school classes invited are in for a treat! Watch this space for photos and updates! 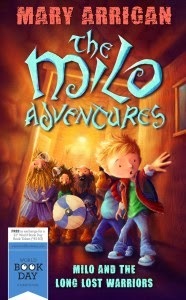 Here are the World Book Day 2014 books, with a very special WBD offering from O'Brien Press... Mary Arrigan's Milo and the Lost Lost Warriors! 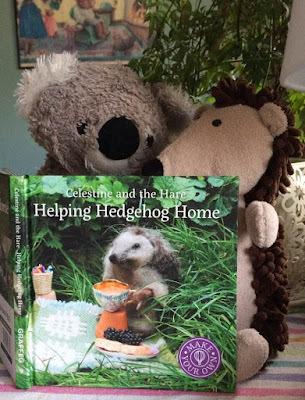 Here I am playing a bit of catch-up again! The Waterstones Children's Book Prize shortlist is out. The award for the 10th annual Waterstones Children's Book Prize will be announced on April 3rd when the winners in all three categories will receive an award of £2,000 and the overall winner will receive £3,000. The categories are; Best Picture Book, Best Fiction for 5-12s and Best Teen Book. The purpose of this award is to "uncover hidden talent in children's writing". To qualify, an author can have published no more than three books. The past winners have gone on to very dynamic careers and have given us some outstanding children's books. Some of the past winners include: Jonny Duddle (The Pirates Next Door), Sally Nichols (Ways to Live Forever), RJ Palacio (Wonder)... there's a huge list of writers in the last 10 years who have gone on to make a difference. The Waterstones Children's Book Prize has definitely become one to watch! This is quite a competitive list, don't you think? Just a quick reminder Ireland! 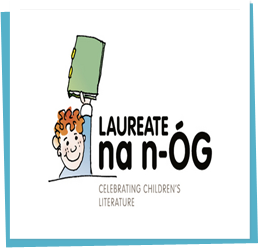 There are just a few days left to get your nominations in for our next Laureate na n'Óg (Childrens' Laureate). Nominations must be in by February 15th, so if you haven't done so already....GET NOMINATING!!!! Of course I have my favourites in both lists; but I am truly glad that I am not making the decision. It would be too difficult! The shortlists will be announced on March 18th, and the winners will be announced in June. 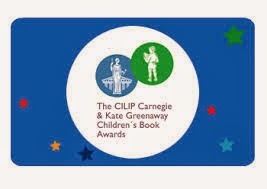 For more information about the lists and The CILIP Carnegie & Kate Greenaway Medals, follow the link to the website where you will find everything you need to know.